Pancakes are quintessential breakfast food because they are delicious, filling, and versatile. Depending on the add-ons, you can whip up savory or sweet pancakes. While you can make pancakes from scratch, it is much more convenient to stock up on pancake mix. 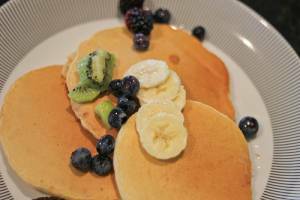 Pancake mix products are widely available in local supermarkets and are quite affordable! They make morning breakfast preps so much simpler! But what if you have too many boxes of pancake mix in stock? Can pancake mix go bad? Pancake mix is not impervious to spoilage but it should keep for a long time since it is sold in powder form. The lack of moisture helps extend the shelf life of the mix. That being said, proper storage is still important to stretch the storage life of pancake mix. A box of pancake mix must be kept sealed at all times to minimize air exposure and decrease the risk of mold growth. The fact is, pancake mix is prone to mold growth especially when it is kept somewhere humid. What signs should you look for when checking if the box of pancake mix you kept for so long is still safe to eat? Start by checking the texture, color, or flavor of the mix. If the pancake mix powder developed an off odor or it emits a moldy odor, the product is no longer safe to eat. If you see flecks of blue-green spots all over the mix, that’s mold. Toss the pancake mix in the trash when you see signs of mold growth. How to Store Pancake Mix? The best way to store sealed, unopened boxes of pancake mix is in the pantry, at room temperature. Since the powdered product is kept sealed in its original packaging, it is safe to keep the product on the kitchen counter or the cabinet. Always keep the product in a cool, dry place away from sources of moisture. As for opened boxes of pancake mix, it is best to transfer the product to an airtight container then store in the pantry. If you made pancake batter from scratch, you can store it in the fridge. Pour the product in an airtight container or a mixing bowl. Seal the container, write the storage date then stick in the fridge. If you used a mixing bowl, just cover it with cling wrap then store in the fridge. When kept in the pantry, sealed, unopened packs of pancake mix will keep for 12 months, maybe longer when storage conditions are ideal. On the other hand, opened boxes of pancake mix will keep in the fridge for six months or less. For homemade pancake batter (liquid), this will only keep for a week or less. 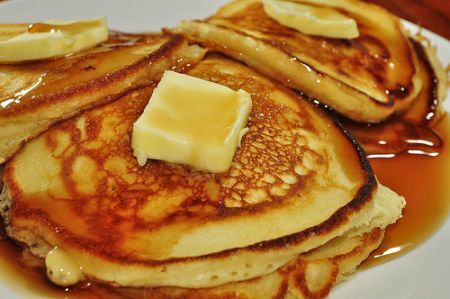 Dry homemade pancake mix has a long shelf life than the batter, maybe two weeks or more when kept in a sealed container. Dry pancake batter doesn’t require freezing at all. As long as the product is kept in a cool, dry place, the pancake mix will last for more than a year. 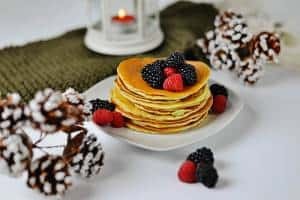 But for homemade pancake batter, you can freeze it but expect clumping or separation between ingredients once the product has been thawed. Just give the defrosted batter a good mix to incorporate all the ingredients prior to cooking. Waking up to a pile of pancakes is the best way to start the day! If you love pancakes, then go ahead and store several boxes of pancake mix in the pantry. Can pancake mix go bad? Pancake mix won’t keep forever but it has a long shelf life. You can use up your supply in no time at all! If you are always spending your time in the kitchen baking up a storm then you’re probably familiar with powdered sugar. Powdered sugar or confectioner’s sugar is a type of finely grounded sugar mixed with cornstarch. The cornstarch gives the sweetener its characteristic fine, powdery consistency. This product is often used as an ingredient to frostings, topping, or cake icing. Just like common table sugar, powdered sugar has a long shelf life. But that doesn’t mean the product won’t go bad at some point. Powdered sugar will not keep forever but it has an extremely long shelf life. This goes especially if the storage conditions are ideal. Powdered sugar is quite sensitive to moisture and humidity. If a tub of powdered sugar wasn’t sealed properly, the product will absorb moisture in the air. The excess moisture could cause the fine powdered product to turn clumpy and hard. Powdered sugar will keep indefinitely. However, it will start degrading several months into storage. Improper storage could shorten the storage life of the product. Look for signs of discoloration when checking to see if powdered sugar has gone bad. If the consistency of the product turns clumpy or hard, it’s a sign that the powdered sugar has been exposed to moisture or humidity. But as long as there is no significant change in the powdered sugar’s texture and color, it is still safe to use even when stored for years. How to Store Powdered Sugar? The best way to store powdered sugar is to keep it in the pantry at room temperature. For unopened containers of powdered sugar, the product will keep indefinitely in the pantry. For opened containers of powdered sugar, the product will keep indefinitely. However, consume the sugar within 2 years for optimal quality. You can use the powdered sugar’s original packaging or transfer the product in an airtight container. No additional prep is needed for transferring the product in an airtight container. However, make sure the container is completely dry to avoid clumps. Store the product in a cool, dry place away from sources of heat and moisture. Excessive heat could melt the sugars while moisture could cause clumps. Can You Freeze Powdered Sugar? You can freeze any type of food and powdered sugar is not an exception. However, freezing is not necessary because the product will keep indefinitely at room temperature. In addition, freezing is not an ideal storage method; the sugar could turn lumpy once it’s defrosted. But if you must, you can stick the product in the freezer with no additional prep needed. The great thing about storing powdered sugar is that you can use the original packaging of the product. Storing is so fuss-free! Can powdered sugar go bad? Powdered sugar won’t keep forever but it should be safe to use even when stored in the pantry for years. Jello is a lunchbox favorite, and a standard summer snack. But, how long does this treat really last? Can you still eat the remainder of that tray of Jello after the block party? Can Jello go bad, and how should it be stored? Like almost all foods, Jello can go bad. That wiggly, delicious childhood treat contains enough water to make spoilage inevitable. Typically, prepared Jello will last about seven to ten days in the refrigerator. Pre-packaged jello cups that are completely sealed will last longer. At room temperature, so long as the package indicates that the Jello cup can be stored out of refrigeration, these snack cups can last for three to four months. If the cups are refrigerated and sealed, they can stay safe to eat beyond a year. No chance of them going bad in a lunch box! Once the Jello cups are opened, their shelf life drops to about a week, as with Jello prepared at home. Dry, sealed Jello mix is another story altogether. Unopened, dry Jello mix can last indefinitely at room temperature. Once the package has been opened, the mix will only last for three months, so if a recipe only calls for a little bit of Jello mix, you’ve still got some time to use the rest of the package! Sealed Jello cups can be stored at room temperature, or in the refrigerator. In either case, the cups should be kept out of direct sunlight, and away from heat or water sources. Once Jello cups are opened, they should be covered in plastic wrap, and stored in the refrigerator. 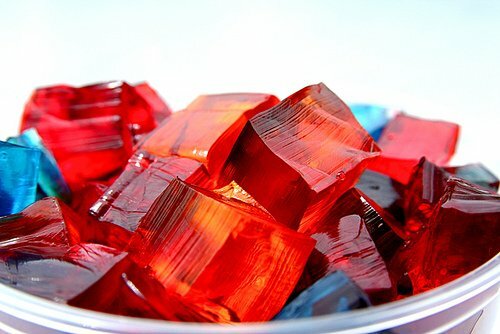 Dry Jello mix should always be stored at room temperature, and kept away from light, heat and moisture. Be sure the package stays tightly sealed, to avoid exposure to moisture. Refrigerating dry mix will not extend the shelf life, and the high humidity could affect the quality of the the powder, even causing spoilage. Therefore, refrigerating packages of Jello mix is strongly discouraged. Prepared Jello should be stored in an airtight container in the refrigerator, or at the very least covered in plastic wrap to keep out air and moisture. Freezing Jello is not at all recommended. Freezing will break the bonds that hold the gelatin together, causing the Jello to separate upon thawing. The results are a puddle of chunky goop – not exactly appetizing. If you need to speed up the setting process of homemade jello, try adding water with ice cubes, after you’ve dissolved the mix in boiling water. Alternatively, you could chill the Jello down for about a half hour in the freezer, before transferring back to the refrigerator. If you’re going to put the Jello in the freezer, just be sure that the temperature change isn’t too extreme for the container. Signs that a packet of powdered Jello has spoiled will be pretty obvious. If moisture has gotten in the packet, the powder will be clumpy, and may have even solidified completely. Jello in this state should not be used. Prepared Jello will start to break down as it ages, and eventually separate. Once you see pools of liquid for on the surface of the Jello, it has spoiled and should not be consumed. Any sour or “off” taste or smell also indicates spoilage. Finally, mold or bacterial growth means that it’s time to toss that Jello. These growths will show up as white, or dark spots or patches on the surface of the Jello, and could be harmful to consume. Be sure to check the surface of the Jello carefully, as it really presents the perfect environment for bacterial or mold growth. Fudge is such a rich and delicious treat, but that richness can be limiting. After all, it’s unlikely you’ll eat the entire container of fudge in one sitting. You may find yourself wondering, “can fudge go bad?” What is the shelf life of fudge, and how should you store it? Read more to find out! Like most candies and confections, fudge can go bad. Because there are so many recipes and production methods, it’s difficult to give an exact shelf life. Homemade fudge will most likely have a shorter shelf life than fudge bought from the store. The high amount of sugar and fat in fudge can act as a good preservative, allowing this treat to stay delicious far longer than brownies or other similar baked goods. While there is no set shelf life for fudge, you can approximate how long fudge will stay fresh when properly stored. In general, fudge that is kept in an airtight container at room temperature will last for one to two weeks. Refrigerating fudge can extend its shelf life to two to three weeks. Freezing fudge will extend its shelf life to around three months, if tightly sealed. Fudge should always be stored in an airtight container, to seal out excess moisture. Sealing the fudge will also protect it from the drying effects of air, as well as potential contaminants. Fudge stored at room temperature should be kept away from light or heat, to prevent rapid spoilage. When refrigerating fudge, it’s still important to seal the fudge in an airtight container. This will not only help to keep the moisture level steady, but will also prevent other flavors from being absorbed by the fudge. Wrapping the fudge in wax paper before refrigerating it can help to regulate the moisture level. To store fudge in the freezer, it’s best wrapped tightly in wax paper and then plastic wrap before being placed in a sealable container. If possible, fudge should be frozen in as large a block as possible, as it can dry out more easily when cut into smaller pieces. Fudge freezes quite well, though the texture and flavor of the fudge may change slightly after freezing. Frozen fudge should be thawed overnight in the refrigerator, not at room temperature. Once the fudge thaws, it should be consumed within a week and should not be refrozen, but should be stored in the refrigerator. Unlike baked goods, fudge tends not to spoil in the traditional sense. It’s highly unlikely that fudge will mold or rot. Instead, as the fudge ages, the texture and taste will start to degrade. While it may still technically be safe to eat fudge if it exhibits signs of spoilage, it won’t be a pleasant experience! There are several visual cues that can help determine if fudge has gone bad. If fudge is exposed to the air, the surface will begin to crack and dry out. While a little bit of crumbling around the edges isn’t necessarily harmful, the texture might not be so pleasant. The older the fudge is, the drier it can become. If there are large, deep cracks in the surface of the fudge, it is too old and should not be consumed. Fudge that has been exposed to too much moisture will spoil more rapidly. 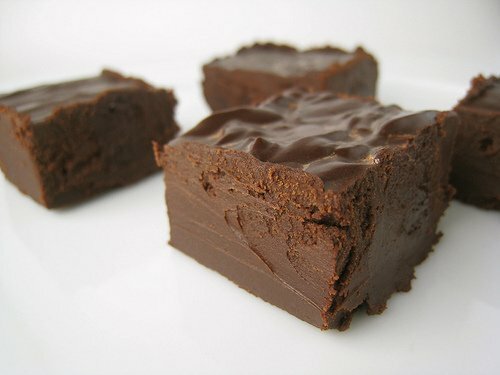 While some moisture on the surface isn’t a problem, if the fudge becomes overly mushy or soggy, it should not be consumed. Similarly, any separation or pools of liquid on the surface indicates spoilage. Finally, if the fudge becomes hard with an oily sheen to the surface, it should not be consumed. While this doesn’t necessarily indicate a food safety issue, the fudge will be quite unpleasant tasting at this point. A classic ice cream topping, and certainly the favorite milk flavoring of kids everywhere, chocolate syrup has a solid place in refrigerators everywhere. Of course, it’s easy to forget about that bottle in the fridge (or that spare unopened one in your pantry) as months get colder and ice cream with chocolate syrup seems less appealing. How do you know it’s still good? Can chocolate syrup go bad and how can you tell if it has spoiled? While unopened chocolate syrup can last for a very long time when stored properly, it will eventually degrade in quality, and then spoil. The shelf life of chocolate syrup will depend on the brand, production method and ingredients, but commercially produced and packaged chocolate syrup typically has a shelf life of around three years past the printed expiration date. Of course, this could be shorter (or longer! ), depending on the storage conditions. Once a bottle of chocolate syrup has been opened, it will typically stay good for about six months, when tightly sealed and stored in the refrigerator. Homemade chocolate syrup has a much shorter shelf life. Homemade syrup should be refrigerated within two hours of making, and stored in a tightly sealed container. Visual signs are a good indicator to see whether chocolate syrup is still good to consume. If there is any mold, or the syrup has separated, then it has gone bad and should be discarded. Syrup that has become hard, or that has thickened or darkened considerably has also gone bad, and should not be consumed. A sour or otherwise unpleasant smell is another indicator that the chocolate syrup has spoiled, and should not be eaten. To reduce contamination of homemade syrup, be sure to use a clean spoon when scooping syrup out of the container. If homemade syrup thickens quickly after chilling, it has likely not spoiled, and can simply be reheated before consuming. If unopened bottles of chocolate syrup are stored in a cool, dark place, they shouldn’t need an extension to their already long shelf life. Of course, once syrup has been opened, the shelf life reduces to about six months. If that date rapidly approaches, and you realize that you’ve still got quite a bit of syrup you’d like to save, freezing is an option. When store bought chocolate syrup is frozen, the moisture in the syrup will form ice crystals, and the texture could change, so you should reheat the syrup before using it again. To freeze, transfer the syrup into a freezer safe, airtight container and seal tightly. 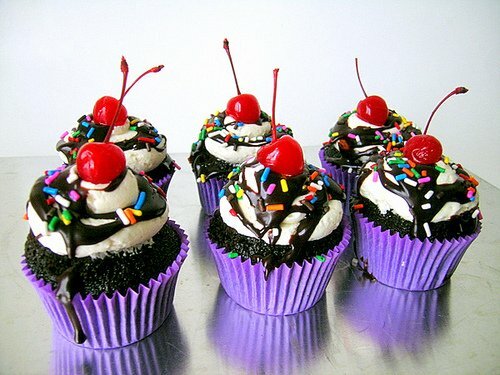 Chocolate syrup can be frozen for about six months before the quality begins to degrade. Thaw frozen syrup overnight in the refrigerator for best results, and then heat if desired and use as normal. Once syrup has been thawed out, it should not be refrozen, as this will drastically reduce the quality. You can extend the shelf life of homemade syrup by freezing or canning it. Frozen homemade syrup will crystallize and undergo texture changes when thawed, but this can be corrected by thinning out the syrup with a bit of liquid while heating. Canned homemade syrup, when canned and stored properly, will have a shelf life of up to a year. Because chocolate syrup doesn’t need to be canned in a pressure canner, and can be processed in a water bath, this is an incredibly easy way to store extra syrup, while retaining its quality. Plus, you’ll still have extra space in your freezer! Can Maple Syrup Go Bad? If you’re a fan of pancakes or waffles, you’re surely a fan of maple syrup. But even the biggest fan of maple syrup might leave a jar of it stored in the pantry and forget about it for a couple of months. After that, the first question that comes to mind is: “can maple syrup go bad?”. Most people believe it will be fine forever, but the fact is, it can go bad. Fortunately enough, maple syrup going bad is an extremely rare occurrence and unless you let some contaminants into the jar of container with maple syrup, it will be fine for a long time. Let’s talk a little about storing, shelf life and how to tell if maple syrup is bad. Those are the most important pieces of information that every maple syrup lover should know. Until you open the container/jar, maple syrup should be kept in a cool and dry place. Pantry seems to be the best option, so you won’t have to fit the jar or container into the fridge. Once you open the syrup, it’s recommended to put it into the fridge, as it doesn’t have any preservatives. One thing to remember – if you’ve bought it in a tin container, it’s recommended to transfer the syrup into a glass jar or an airtight container before putting into the refrigerator. One more thing – always keep the container/jar tightly sealed when not in use, so any contaminants won’t be able to get into the syrup. If you would like to store the syrup for an extended period of time, putting it into the freezer is the way to go. It won’t freeze, but the cold temperature will keep it safe from any microorganisms that might want to develop in the syrup. It’s pretty difficult to determine the exact shelf life of maple syrup. Many people say it’s fine forever, while others state that after a little over a year after opening it should be discarded. Because of that, let’s talk about the things that are pretty certain. The thing people agree upon is that maple syrup won’t spoil or go bad when it’s stored properly, so unless you’ll store it without its cap, it will be edible after a year or even a few years. If it tastes fine after that 3 or 5 years is a whole other topic. The best thing you can do is to taste it – you’ll know right away if you want to use that glass of maple syrup that was stored in the cellar for 5 years or you would much rather discard it. It’s that simple. If you’re unsure if that jar of maple syrup was stored properly over the years, you should check if it’s not spoiled. The first thing to look for is signs of spoilage like mold, etc. If you can’t find any, try smelling and then trying the syrup. If it smells fine and tastes well, it’s definitely fine. As you can see, maple syrup can go bad, but it’s a very rare occurrence. In most cases if it’s stored properly, it will be edible even after a couple of years. The only thing that you can’t be sure of is its taste – it might not be as great after those 3 or 5 years of storing, but it’s definitely edible. Can chocolate go bad? Chocolate is a great treat for both kids and adults. But do you know how long it can last, or whether it expires at all? If not, this article will give you all the basic information about chocolate that you need. Answer to this questions depends on the kind of chocolate. As a rule of thumb you should remember that dark chocolate lasts longer than milk or white one. As long as the package of the chocolate bar is unopened, dark chocolate should be fine for at least two years, white and milk ones for a year. Once the package is opened, dark chocolate should be of great quality for a year, white and milk ones for maybe 8-10 months. 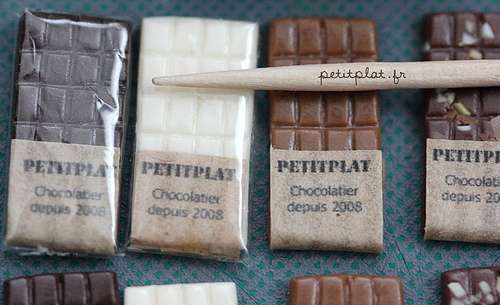 Storage of chocolate is very important when it comes to the shelf life of chocolate. If you’ll store chocolate in a pretty cool environment, like in the pantry, it will definitely last longer. Keeping chocolate in the fridge isn’t recommended, unless you live in a very hot and humid environment. After opening the package, make sure to always keep the chocolate wrapped tightly when it’s stored. When it comes to storing chocolate, there’s one more thing worth mentioning. If it wasn’t stored properly, meaning it was stored in either hot or humid environment, chocolate can develop a white or grey film.That film is called chocolate bloom and it’s not harmful. The film is caused by the separation of either cocoa butter or sugar from the chocolate. This might cause that the taste of the chocolate will be different, but it’s fine to eat. Does chocolate expire? How to tell if chocolate is bad? Chocolate does expire – after some time, even if it was stored properly, chocolate will go bad. How to tell if it is bad? In most cases you’ll be able to see white spots or mold growing on the chocolate bar. When that happens, discard the chocolate immediately. If you’ll find any local discolorations, throwing the chocolate to the trash can is the best thing to do as well. If it looks fine, smells like chocolate and tastes fine, it’s safe to eat it. If the chocolate is after its “Best by” date and you’ll notice that somethings isn’t quite right, discard it. It’s always better to be safe than sorry. Of course the “Use by” date only means that the chocolate should be of best quality up until that time and it doesn’t mean that it goes bad the day after. It’s just an indicator, that the quality of the product doesn’t have to be the best after that time and it’s quite normal that certain products lose their taste with time. As you can see, the answer to the main question “can chocolate go bad” is affirmative. Chocolate in most cases is fine for a longer period of time than its “Best by” or “Use by” states, but that doesn’t last forever. After some time (even a couple of years if stored in cool environment) it will eventually go bad. Can honey go bad? If you’re reading this, you probably wonder if honey does expire or spoil, or how long does honey last. 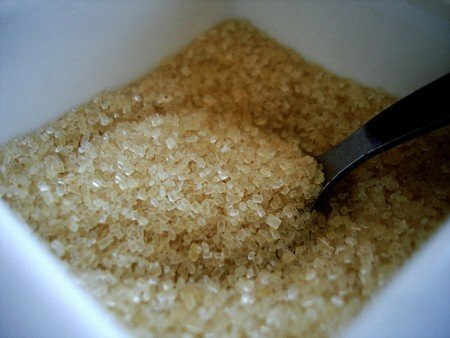 The good information for you is that this article will give you all the information about this sugary product you need. How long does honey last? When it comes to the shelf life of honey, you should know that it’s pretty much indefinite. That means that you can keep it for quite some years and it will still be fine. You should also be aware that the taste of honey might change a little over time. That’s perfectly natural, so as long as you’re fond of your honey’s taste, it’s fine to use it. As I’ve mentioned, honey’s taste changes over time, but there are other factors that can contribute to this process as well. When you won’t store honey properly, it’s taste will change quicker and not necessarily in a good way. That’s why it’s important to keep it in the right environment. As a matter of fact, storing honey properly is very easy and most people do it the right way. You just need to store it in a cool and dark place. Pantry is probably one of the best places to keep your honey, just make sure that it’s in some kind of cupboard where no light can reach it. Another extremely important thing it that once you’ve opened the jar, you should always store it tightly closed. That seems obvious, but some people tend to forget about it. This way any contaminants won’t find their way into the jar. In fact, honey contains only a very small amount of water, so any kind of bacteria or yeasts can’t develop in that environment. But if you’ll keep the jar opened, honey will absorb some water from the air (it’s a very slow, but ongoing process) and after some time some yeasts might be able to live there and develop. They will (after quite some time) cause that honey will start to ferment. Let me just repeat what I’ve said: it’s a situation that happens extremely rarely and only when the jar isn’t closed all the time. If it’s closed, it won’t happen. Does honey expire? How to tell if honey is bad? As I’ve mentioned, honey doesn’t expire. Producers place an expiration date on every jar, but it’s rather an indication of how long contents of the jar should be of best quality. After that time honey might start to deteriorate a little faster, but it still will be edible, maybe not as tasty as a new one though. As I’ve mentioned, if honey is stored properly, it’s fine for a very long time and it won’t go bad. But when it’s stored very poorly (or the jar is damaged and it allows some contaminants to get inside), it’s possible that it’ll go bad. When you’ll notice that the color of honey has changed a lot, or it’s smell is very odd, discard it. One more thing. As you probably know, honey crystallizes. That’s a perfectly natural thing and it occurs quicker to raw honey than to a commercial one. Crystallized honey isn’t bad, it’s as fine as a liquid one. To undo this process you can simply put the jar into warm water and start stirring as soon as you’ll notice that it starts to liquify. 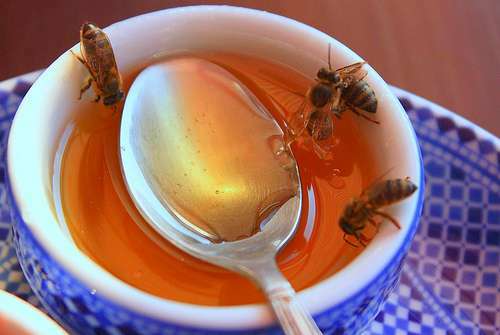 You can also scoop honey with a spoon, put it into a very small vessel and liquify only a tiny amount of it. Please remember that you shouldn’t heat honey many times, because it causes that it deteriorates quicker. As you can see, the answer to the main question “can honey go bad?” is a pretty difficult one. If one stores it quite properly (so any contaminants won’t be able to get into the jar), it won’t go bad. But if it’s stored terribly, it might go bad after a long time. Honey doesn’t expire, though. Can sugar go bad? Sugar is one of the components that can be found in almost every house. Most of us use it to sweeten tea, coffee or other drinks. It is also often used in bakery – sugar is one of the most important components needed to bake a cake. Because of that, it’s good to know how long does it last, how one should store it and whether it expires. If you’ll read along, you’ll get to know all that information within the next minute or two. All the information in this article is true for each white, brown and powdered sugar. How long does sugar last? When it comes to the shelf life of sugar, it is pretty much indefinite. That means you can keep it for years and after that time it will still be fine to use. However, there are some minor issues with sugar. Hardening is the first one and I’m pretty sure you know about it. There are some ways to store sugar so it won’t harden. First and foremost, keep sugar away from any kind of moisture. Sugar is a huge water absorber, so when it finds even a tiny bit of water, it absorbs the water and sugar starts to harden forming clumps. This isn’t unsafe for the sugar itself, but it makes scooping a tiny amount of sugar pretty difficult. You should also remember to keep sugar from any sources of heat. Storing it above stoves, ovens or anywhere near heaters isn’t a good idea. Why? Heat will cause condensation, which turns steam into water drops, and those water drops will be absorbed immediately. If your sugar is in clumps, have no fear – you can easily break it using a tool as simple as a fork. Another thing about storing sugar that is worth remembering is that it should be stored sealed. This way any bugs won’t be able to reach it (bugs in sugar are probably the biggest problem). If you wish, you can reinforce the tightness of the bag by putting it into another one, preferably a heavy-duty plastic bag. As I’ve mentioned earlier, sugar doesn’t expire. Of course most producers place a “Use By” or “Best By” date on the package, but it’s not like after that date sugar will be probably “bad” or “spoiled”. When it’s stored properly, you can keep it for a long time (if you use as much sugar as a typical person does, it won’t keep that long in your pantry). Probably the worst probable situation is when bugs reach the sugar. If you’ll notice any bugs in the package, you should get rid of the package immediately and open another one. As you can see, the answer to the main question “can sugar go bad” is negative – if you’ll store sugar properly, it won’t spoil or expire, it can last many years and still be fine. Just make sure any moisture or bugs can’t reach it and it’ll be fine.